Walkin For BE, B.Tech, B.Sc, BCA, Diploma, BA, B.Com, BBA, BHM Freshers July 2014. 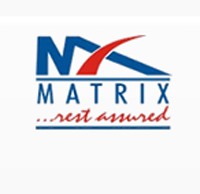 Matrix business solutions job openings in Chennai for non voice process.Interested and eligible candidates can attend the walkin interview from 30th June to 5th July 2014 at the below mentioned venue. Urgent opening for Day shift Non Voice process for Chennai.